Vertical gardens have been around for a long time – living walls were often used in architectural designs in ancient times. Artificial vertical gardens are a recent invention, and very popular as a design element in modern homes as well as offices. 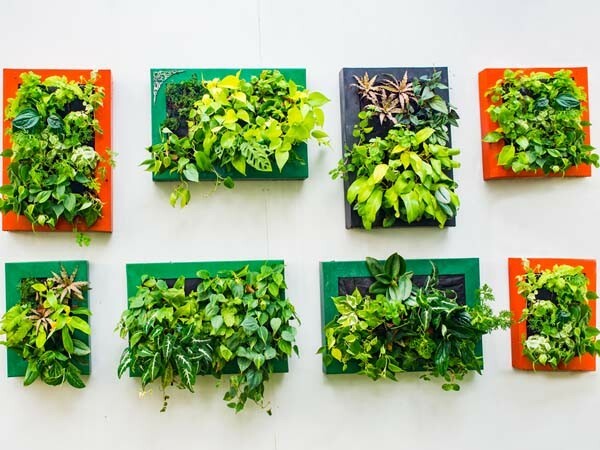 Here’s a brief history of living walls and their evolution into the modern-day artificial vertical gardens. The beautiful Hanging Gardens of Babylon is one of the seven wonders of ancient architectural history. The plants used for the Hanging Gardens ranged from trees and shrubs to running vines, all coming together to create one of the most magnificent sights ever seen. By the 1920s, designers were beginning to use plants more frequently in their designs. Towards the end of the last century, special equipment was available to help vertical gardens grow. These vertical gardens were used near building entrances, indoor and outdoor structures and virtually in any open space. The living walls of ancient Babylon have evolved into a more practical version to suit the busy lifestyles of the modern day. More people are turning to artificial vertical wall gardens as there is very little maintenance involved unlike living walls. Thanks to advances in technology, artificial vertical gardens look almost life-like and just as aesthetically pleasing as real gardens. A fake vertical wall garden offers more flexible options in comparison to a living vertical wall. There’s no need to worry about natural lighting, especially if the wall is being installed indoors. An artificial vertical garden doesn’t need a light source, requires little to no maintenance and is much more cost effective than living walls. Artificial vertical gardens can be installed anywhere in indoor or outdoor settings without the hassle of caring for them. Contact Evergreen Walls to create your own architectural masterpiece with a collection of artificial vertical garden planters.